Vatican City (kath.net/KAP) Unusually, Pope Francis has reaffirmed his commitment to ecumenism with the Russian Orthodox Church and its Patriarch Kyrill. The path of unity is "the only way that promises us something certain, the path of division will only bring us war and destruction," the Pope said in a short speech to a Russian Orthodox delegation whose text the Vatican published on Saturday. "The only patriarch in Moscow, in Russia, is yours," Francis assured the delegation. This was under the direction of Metropolitan Hilarion, the foreign chief of the Moscow Patriarchate, who visited Italy from Monday to Wednesday. Shortly before returning to Russia, the group had been received by the Pope. In his address, Francis gave a clear rejection to any Uniatism, that is, the mission among non-Catholic Christians. If "some Catholic believers - whether lay people, priests or bishops" propagate this, he says: "That does not work anymore, that's over." 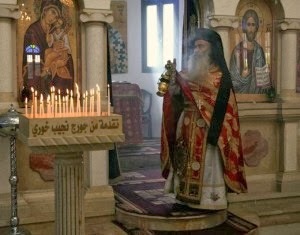 Of course, the existing Eastern churches unified with Rome, which have arisen in past centuries, must be respected. Today, however, this is no longer a way to unity, according to the Pope. However, Francis also urged the Russian Orthodox Church to take concrete steps in ecumenism. As examples Francis called for prayer, charitable commitment or pilgrimages. Although one must continue to discuss the theological divergences, one should not wait until at some point, for agreement to exist in all teaching differences. As a further clear assurance to the Orthodox side, the Pope said: "The Catholic Churches in Russia must not interfere in the internal affairs of the Russian Orthodox Church, as well as in politics." This is his attitude and that of the Holy See, the Pope said. Finally, he called on Orthodox and Catholic believers for mutual prayer for each other. This brings the sisters and brothers of both churches closer together. June 10, 2017 the Pan Orthodox of St. Spyridon in Trujillo Alto, PR community were received into the Catholic Church as a Greco Catholic Byzantine community under the “Omophorion” (jurisdiction) of the Latin Archbishop, Metropolitan Roberto González, O.F.M. The welcome ceremony was presided over by the Vicar General of the Archdiocese, father Alberto Figueroa Morales on behalf of the Archbishop. The priests and parishioners made the profession of faith and during the liturgy were commemorated the Supreme Pontiff, Francisco and metropolitan Robert. This makes the community of San Espiridión the first Eastern Catholic in Puerto Rico community. Welcome to the priests and parishioners of San Espiridión to the Catholic Church. 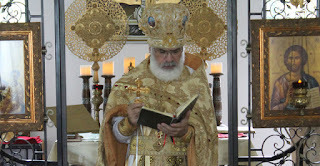 They will continue celebrating the Divine Liturgy and sacred mysteries according to the Byzantine tradition. The continuous liturgy in the Church Slavonic language, English and Spanish… following the liturgical calendar Julian (old calendar). (Jerusalem) An unusual and serious incident took place in Bethlehem this weekend. The Palestinian police temporarily arrested the Syrian Orthodox Archbishop Swerios Malki Murad, as the Catholic news agency Fides reported. Archbishop Murad is responsible for the Syrian Orthodox faithful in the Holy Land. The arrest occurred last Saturday night, April 2. According to a local observers report, Palestinian police officers were on a vehicle convoy, collecting the church representative who was then on a visit to the Palestinian village of al-Khader, to Jerusalem. The diplomatic representation of Palestine to the Holy See announced, meanwhile, that the archbishop was released after a short interview. The Palestinian judicial authorities have not commented on the reasons for the arrest. (Rome) The waves, because of the historic meeting between Pope Francis and the Russian Orthodox Patriarch of Moscow, have not been smoothed in Ukraine. The Greek Catholic Ukrainians, about 12 percent of the population, feel "betrayed". They accuse the Pope of representing too pro-Russian a line. To dispelled the fears, Francis received a delegation of the Uniate Ukrainians last Saturday in the Vatican. The meeting between the two heads of churches on 12 February on the Caribbean island of Cuba earned general praise, but not in Ukraine. The apostolic nuncio tried in February to reassure the Greek Catholics. 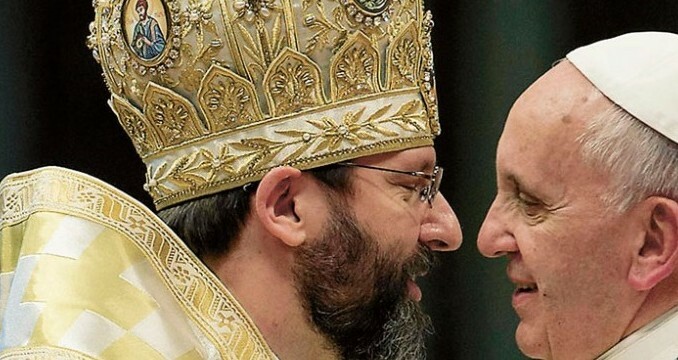 The day after the meeting in Havana, Nuncio Claudio Gugerotti went so far as to explain to the Ukrainians united with Rome in Kiev, they should simply "forget" the "Joint Declaration " of Pope Francis and Patriarch Kirill I of Moscow. It is a counsel, which, considering a conflict that has been brewing for centuries, and has meant persecution and oppression to the Uniates, is not sufficient. Certainly not, since an armed territorial dispute prevails in Eastern Ukraine between Ukraine and Russia. At the same time the nuncio assured the Uniate Ukrainians that Pope Francis was "close" to them. The head, of the Orthodox Ukrainian Greek Catholic Church, who has been in union with Rome since the 16th century, Major Archbishop Sviatoslav Shevchuk of Kiev-Halych, translated on 13 February, the words of the Nuncio for his confreres into Ukrainian, but not sparing his comments. The Uniate Ukrainians, some five million believers, see themselves as representatives of the historical reconciliation of Western and Eastern Church at the Council of Florence of 1439. The remaining of orthodoxy approved the agreement of Florence, and sealed it with their signatures but then they have not kept it. It's a breach of contract which the Uniates refused to join. The Orthodox churches, especially the Russian Orthodox Church, see in contrast the Uniates as renegade Orthodox, which serve as "bait" by Rome. The Moscow Patriarchate, according to estimates has 150 million believers worldwide, considers the Ukraine part of the Rus. In recent decades Rome was expected to retreat to the pastoral care of Latin Catholics. That's three percent of Ukrainians. The question of Unitarianism was illuminated the historian Roberto de Mattei: The "historic" meeting between Francis and Kiril ). As the words of the Nuncio were not enough to calm the Uniate Ukrainians, Pope Francis on Saturday, March 5, received the Major Archbishop Shevchuk of Kiev-Halych and other bishops of the Ukrainian Greek Catholic Church in the Vatican. Ukrainians reiterated here that the encounter between Pope and Patriarch have been "prophetic" per se. But they have expressed at the same time also their unease over the political part of the "Joint Declaration" of Havana. Rome states that the essential aim of the "Joint Declaration" is the creation of an alliance between Catholics and Orthodox against the persecution of Christians in the Middle East. Moscow also spoke of an alliance against the "crisis of the family", "against abortion and gay marriage." While the Greek Ukrainians were shocked that the statement in the form of union with Rome is referred to as "outdated", Metropolitan Hilarion, the "Foreign Minister of the Moscow Patriarchate" showed himself to be happy "about it and spoke of satisfaction that had befallen the Russian Orthodox Church. The Declaration of Metropolitan Hilarion was published last Friday by the Osservatore Romano as an editorial. For the Russian Orthodox "Foreign Minister", the declaration is a step toward a "durable peace" in Ukraine. For the French Russia expert Yves Hamant, that it is "evident that the meeting serves the political interests" of both Patriarch Kirill just as much as Russia's President Vladimir Putin . "Kirill is recognized by the pope as the head of a community of a country where religion flourishes, while much of the rest of Europe is completely secularized." Through the meeting, said Hamant, Francis had recognized the Moscow Patriarch as equal, as in Orthodoxy all the patriarchs have the same rank. Barely an hour after the signing of the "Joint Declaration," Pope Francis showed himself, however, already worried about the political orientation of the document. In the airplane on the way to Mexico he tried to minimize the political side. "This is not a political statement, it is not a sociological statement, it is a pastoral statement," said the Catholic Church leader. The Greek Catholics of Ukraine saw it differently and are still concerned. Then there was also the secrecy which formed ahead of the meeting in Cuba. 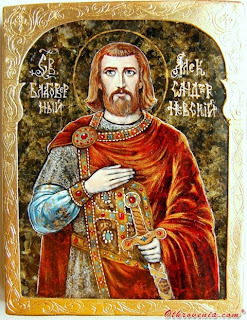 The declaration was negotiated without the involvement of Ukrainian Catholics. Kirill told the Russian news agency, Interfax that before signing, only five people on his staff knew the content of the "Joint Declaration." "It is impossible to prepare for an event of this kind in public," said the Patriarch. Last Saturday Rome has tried to address the concerns and fears of the Uniate Ukrainians. Has it succeeded? In Europe, only one out of three trusts their church. Moscow (kath.net/KNA) 68 percent of the Russian people have shown in a recent questionnaire that they have trust in the Orthodox Church of their land. Only twelve percent have mistrust for the Church, as a public poll conducted by the religious information service >>Sreda<<. A subscriber poll of the "Reader's Digest" (Stuttgart) of Europeans in 16 countrie shows that 38 percent distrust their churches, while 59 percent on the other hand have little or no confidence. 30 percent of Russians surveyed see a strong dependence of their church on the State, 25 percent see it as low. 30 percent of respondents want the official state religion to be Orthodoxy. The majority of 48 percent, however disagrees that church and state should remain separate. 53 percent appreciate the work of the Russian Orthodox Moscow Patriarch Kirill I very much; another 40 percent rate it as mediocre, however, the remaining 7 percent below average. In contrast, Europe (16 European countries including Russia), the Churches and Ecclesial Communities and their representatives, enjoy in comparison to other institutions, below-average confidence. This came from the aforementioned consumer survey by "Reader's Digest" (Stuttgart) which appeared at the end of March 2011. 38 percent of the approximately 33,000 respondents trust the churches there, 59 percent have little or no confidence in them. The trust shown for churches in Germany is about a third (34 percent), while in the previous year was 40 percent. Even more dramatic is the fall in their trust in the Switzerland where it fell from 43 percent to 34 percent. There was only a slight loss in the prestige churches in Austria - from 37 percent to 36 percent. In this pan-European survey, Russia was also included at the time, because the investigation "Reader's Digest European Trusted Brands" (Reader's Digest trusted brands) since 2001, has been conducted annually in the following countries: Belgium, Germany, Croatia, Finland, France, the Netherlands, Austria, Poland, Portugal, Romania, Russia, Slovenia, Sweden, Switzerland, Czech Republic and Hungary. The number two of the Moscow Patriarchate is at present in discussions at Castel Gandolfo. Vatican City (kath.net/KAP) The Foreign Minister of the Moscow Patriarchate, Metropolitan Hilarion, is being received in an audience with Pope Benedict XVI. in Castel Gandolfo. It was the third meeting between the two since the "Foreign Minister' took his office in February of 2009. On the day before Hilarion had talks with the Vatican President for the Office of Christian Unity, Cardinal Koch. 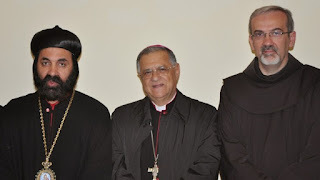 That meeting dealt with the theological dialogue between Catholics and Orthodox as well as around questions of practical collaboration between the Churches, according to the Vatican. On Thursday Hilarion wanted to meet additionally with Cardinal Secretary Tarcisio Bertone and the Presidents of the Vatican Council of Culture, Cardinal Gianfranco Ravasi. The relations between the Vatican and the Moscow Patriarchate have improved significantly since a frosty period in years past. That has been significantly contributed to especially by visits and personal contacts with the Vatican Minister of Ecumenism, Cardinal Walter Kasper and -- since the Summer of 2010 -- his successor Kurt Koch. A lowpoint had been reached in 2002, as the Vatican established Diocese in Russia. The Orthodox accused Rome then of proselytism -- unfair missionary activity on Orthodox terrain. Relations have improved substantially since then, especially with the election of the new Patriarch Kyrill in the beginning of 2009, relations have become much easier. Hilarion came for an introductory visit at the beginning of 2009 in the Vatican. On another visit in May 2010 was for a concert, which Patriarch Kyrill gave in Rome for the honor of the Pope, which was a work performed by Hilarion. 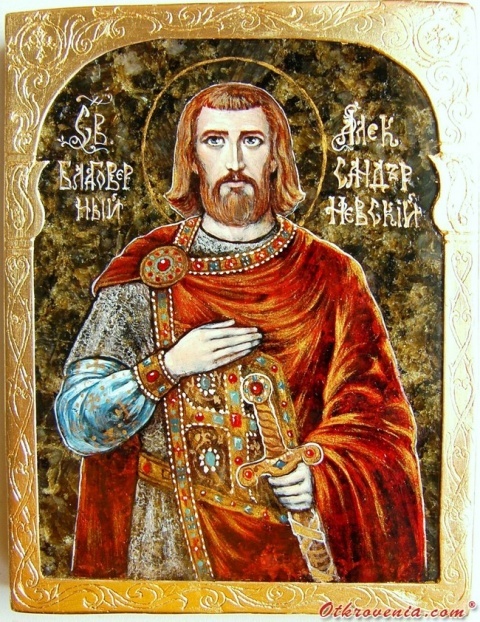 Hilarion, who led the Orthodox Community in Vienna after 2003, had a musical education in addition to a theological one. Two weeks ago, Metropolitan Hilarion declared in an interview in the Vatican the desire to undertake with greater effort, the open questions of serious disagreement between the two Churches, in order to make a historical meeting between the Pope and the Moscow Patriarchate possible. A substantial barrier to this meeting is correspondingly, the conflict between the Orthodox and the Greek-Catholic Church in the Ukraine. "As soon as there is an understanding here, then preparations for such a meeting can begin," said Hilarion to the news agency Reuters. Pope Benedict XVI himself praised the particular nearness of the Catholic to the Orthodox Churches in parts of his Germany trip. Catholics and Orthodox had "both the same old-Church structure" and for that reason may "hope, that the day is not too late, to celebrate a common Eucharist", said the Pope at a meeting with representatives of the Orthodox and Ancient Oriental Churches in Germany in Freiburg. According to a Report from the newspaper "Radikal" [Monday] Christians were described in a Turkish high-school textbook as traitors to the country. Istanbul (kath.net/KNA)Representatives of the Syrian-Orthodox Christians in Turkey have criticized a portrayal of their faith communities in a state schoolbook. According to a report from the newspaper "Radikal" [Monday], the Christians were described as traitors to the country in a high-school textbook, as they were supposed to have left Turkey to the West "to become political and religious tools of those countries". Representatives of the Syrian-Orthodox Christians complained in the report, that the antagonism which exists against the Christian minority will be deepened still further. In past decades many Syrian-Orthodox Christians have fled their homeland in south east Anatolia, because have been caught in a war between the Turkish state and the Kurdish PKK Rebels. Most of these emigrants settled in Germany and in Switzerland. In recent times some have returned to their old villages in the area of the ancient Monastery of Mor Gabriel in the Province of Mardin in south eastern Turkey.